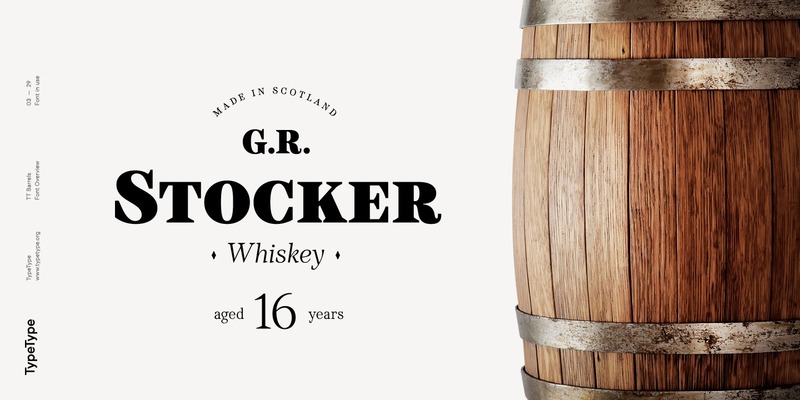 TT Barrels is an elegant modern serif font family inspired by old scotch labels, created by TypeType Team and published by TypeType. Available in 6 styles (each with its own italics), TT Barrels Split has a strong industrial face, making it great for improving the readability of any kind texts, working well on book, display, editorials, magazines etc. Enjoy the striking TT Barrels font! A font description published on Wednesday, October 31st, 2018 in Fonts, TypeType, TypeType Team by Andrei that has 1,124 views.